Museum Hack contacted me a while back about doing a VIP tour, and while I’d seen some other blog posts about them, I wasn’t totally sure what to expect. 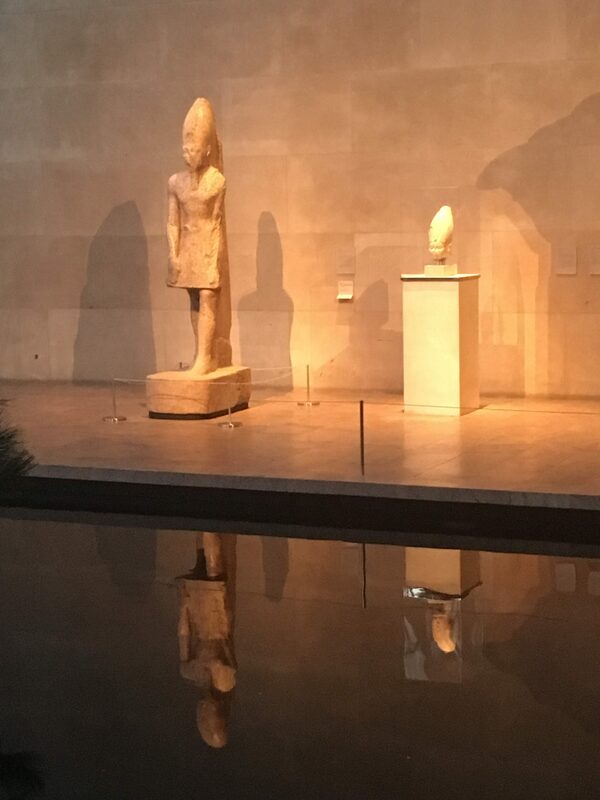 I brought a friend who was visiting from out of town with me on a Saturday evening, just before 6 p.m. Saturday night is a fun time to go to the Met as Fridays and Saturdays are the only days the Met is open till 9 PM and it feels special to be there as it’s getting dark outside. We made our donation, got our tickets, and met our group in the main hall of the museum. After we were given our shiny silver VIP name badges and listened to a story about the lobby over an audio guide, our tour started! We got a brief (and hilarious) history of the museum from our tour guides, Kate and Jen, and then headed off in search of some great stories. 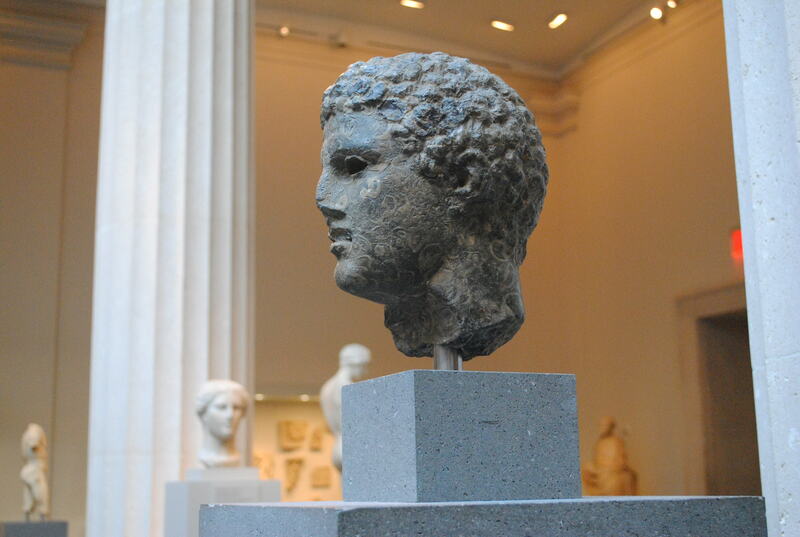 I knew that sculptures used to be painted, but did you know that sometimes those hollowed out eyes ockets were filled in with colorful eyes? 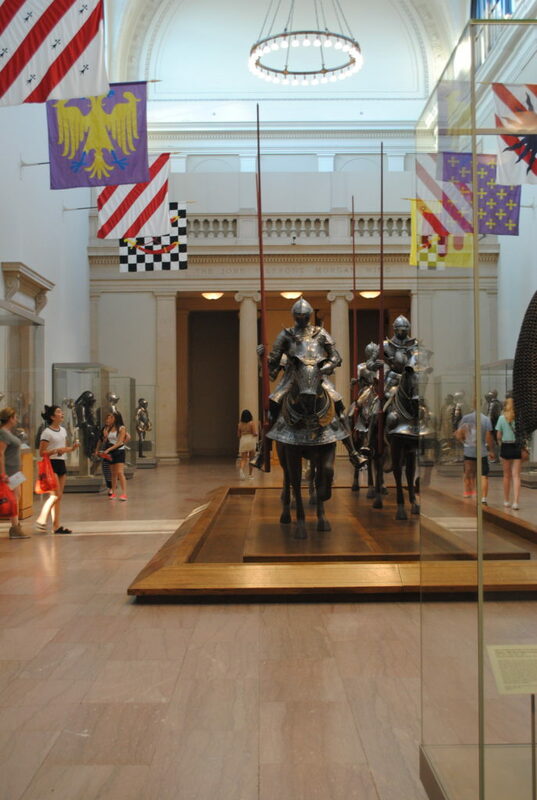 Or that the founder and first curator of the Arms and Armory department, Dr. Bashford Dean, is the only person to have concurrently held positions at the Met and the American Museum of Natural History, just across Central Park? His other field: ichthyology. This Picasso piece was accidentally damaged by a visitor several years ago — and its value went up, because now there is a story attached to it. It’s not just a sort of dark, not that attractive paining — it’s that Picasso painting that someone’s elbow went through. 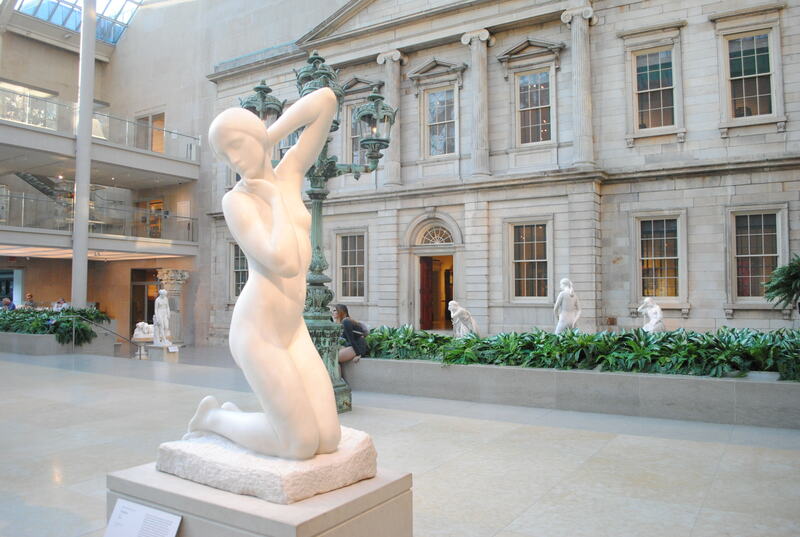 The American Wing Courtyard is both beautiful and a little weird. 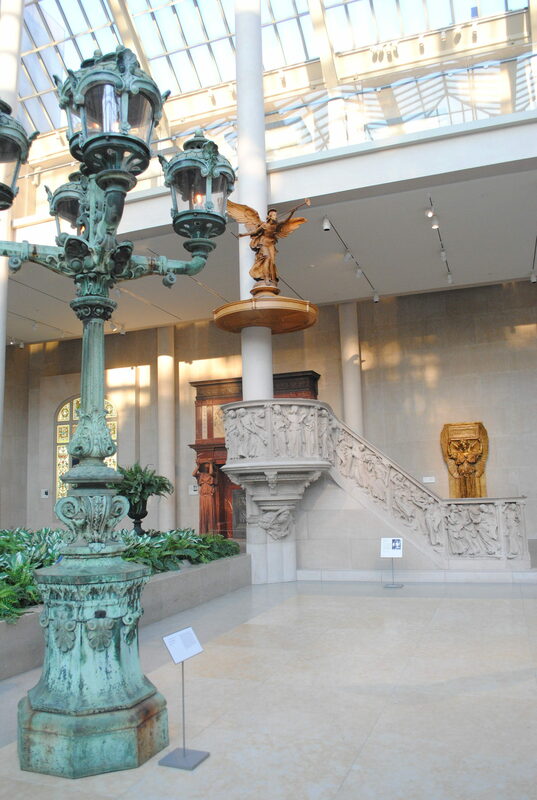 The light is gorgeous, due to the glass ceiling, and there’s this facade here and a bunch of statues that look like they could be Greek or Roman, but, no, we’re in the American Wing. Our guides pointed out that no other major museum has an American Wing — guess that’s a commentary on what the rest of the world thinks about our art! 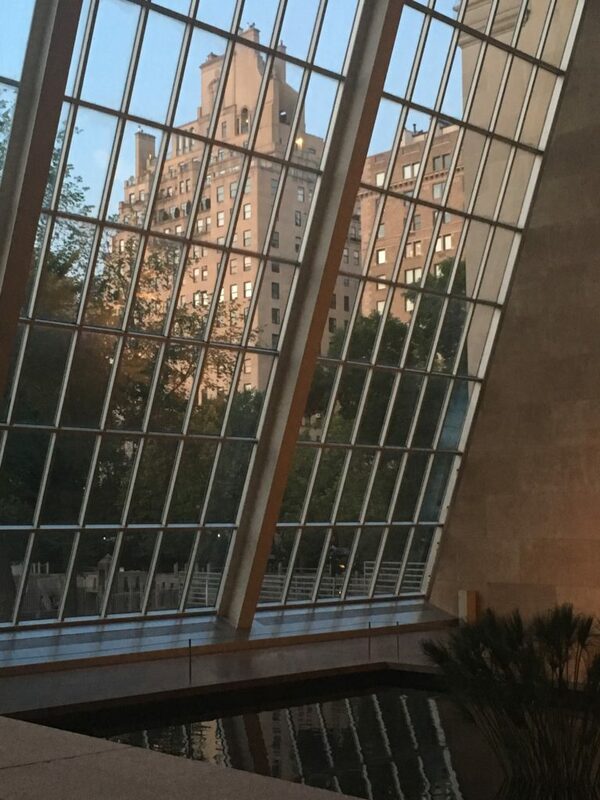 But they also pointed out that even the Met puts its American art next to the cafe — not the most prestigious location! 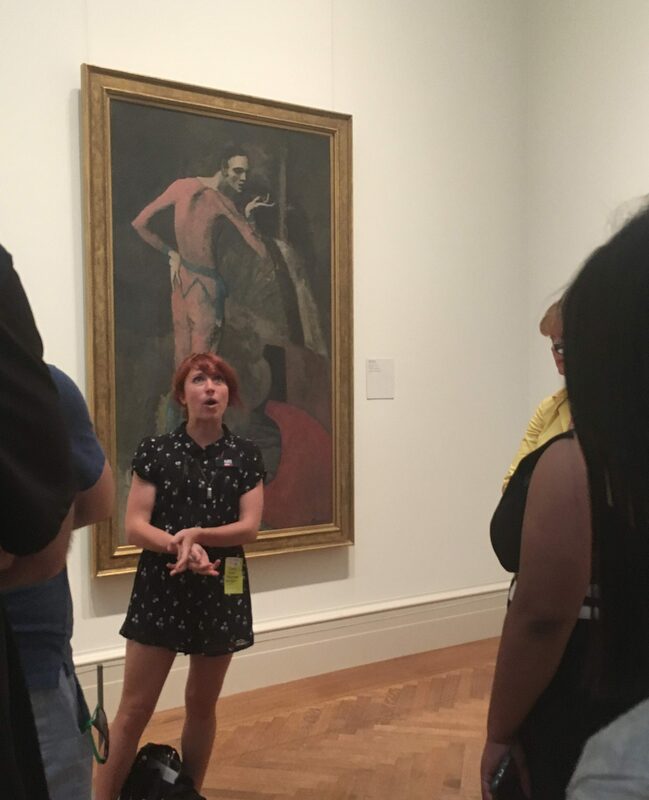 Part of the fun of the Museum Hack tour was being encouraged to interact — with each other, and with the art. In the courtyard, we were told to pick a statue that we identified with (or, you know, just liked a lot), and posed with it. I picked this angel (but sorry, you can’t see my photo with it — it’s a Polaroid souvenir they gave us at the end of the visit!). I said a quick hello to George Washington as I passed, humming Hamilton lyrics to myself…. My feet were tired by the time we left the museum at 9 PM, but I had so much fun learning about different works of art, and about the history of the museum. Hearing all these stories (and many, many more) really made the museum’s collection come into focus. It’s huge, and it can be overwhelming — I know when I bring visitors, I usually show them the same few parts of the museum, because exploring new rooms can be intimidating. 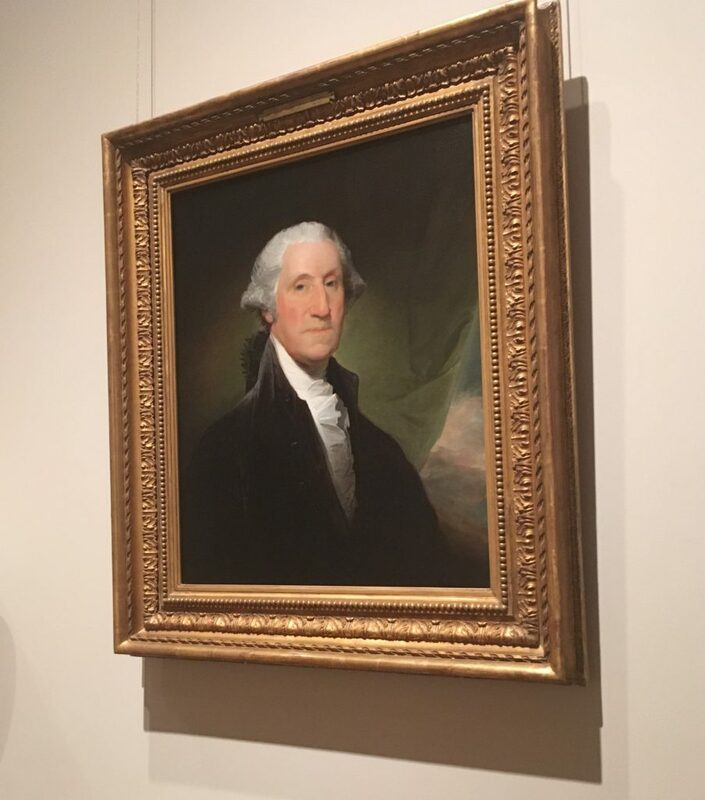 But Museum Hack had a great approach, and our guides offered up some advice, which they stole from Tracy Chevalier, the author of Girl with a Pearl Earring: When you walk into a room at a museum, do a quick scan and find the piece that captures your attention first. You can read about it, but also, tell yourself a story about what you think is going on in the piece, or even what its history is. You’ll engage more deeply if you tell stories than if you try to take in everything. 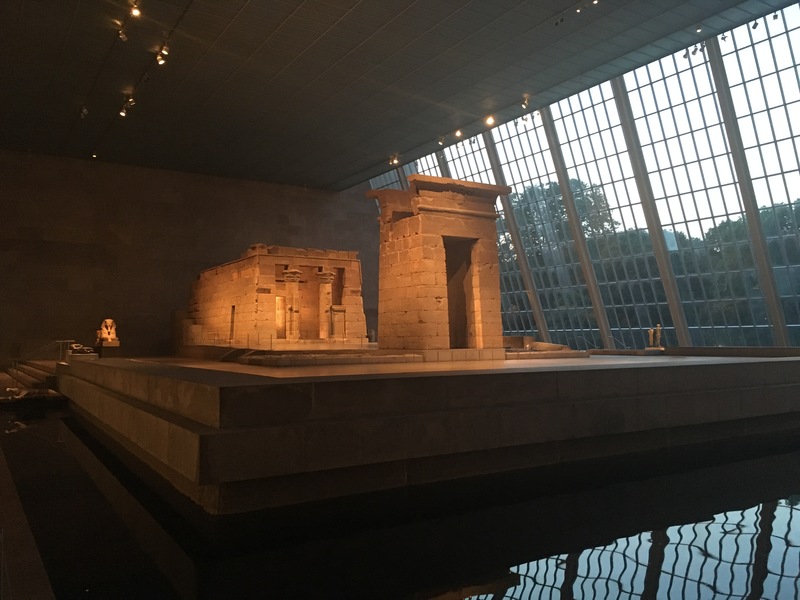 So even if I can’t exactly run away to the Met, I can say I learned some special stories about some amazing works of art. 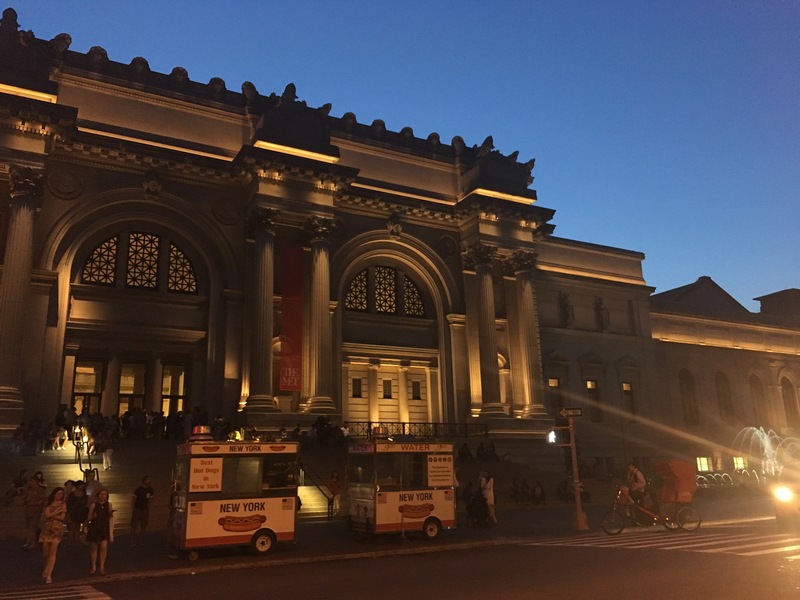 Thanks, Museum Hack, for the opportunity to visit the Met together! I had a wonderful time, and I hope to do another of your tours soon! Special bonus story: During our wine break, I was chatting with our guides and found out that Museum Hack’s founder used to do these tours, for fun, for his friends on the weekends, to get them as excited about the museum as he was. One of his friends was a blogger, and after she wrote about the tours, he has something like a thousand requests for a tour. And Museum Hack was born!